This article is an update of a study of the Canada Israel Committee (CIC) published in the Journal of Canadian Studies, 1992-3. It benefited by extensive comments from Professors John Sigler, Joseph Debanné, David Farr and Diana Ralph, and Rt. Hon Robert Stanfield, Ian Watson, and Bahija Reghai. I have discussed the Israel Lobby with about 20 foreign affairs officials, 2 former Prime Ministers, 3 former Secretaries of State for External Affairs, 8 Members of Parliament, 6 Senators, and 3 officials of the Canada-Israel Committee. Canada’s relations with the Arab/Muslim world are second in importance and difficulty only to its relationship with the United States. The one serious threat to Canadian citizens now stems from the mounting anger of Arabs and other Muslims, fomented largely by Israel’s long-standing occupation of Palestine. The Mid-East conflict has for sixty years been the principal issue on the agenda of the UN General Assembly, a body in which Canadians like to shine. Trade with the Middle East, while modest, is largely in manufactured goods, the sort favoured by Canadian exporters. This imbalance does not accord with the advice of the men and women employed by Canada to determine and implement its interests in the Middle East. It is also opposed by an increasing number of churches, unions, and other bodies concerned with peace and justice in Palestine. Although the Arab Community has become better organized in recent years, interviews with senior officials and case studies suggest that there has been little change in this ranking. The biggest difference in the tactics followed by the two lobbies lies in their degrees of openness and use of threats. Because the role of Congress in making foreign policy is much greater than that of Parliament, and party discipline is weaker, the American lobby focuses on individual members of Congress, none of whom can take refuge behind a party line. Because cabinet solidarity matters more in Ottawa, the Canadian Lobby makes a greater effort to focus on every minister. Lobbying, moreover, is more acceptable in the American political culture and can be more open and hard hitting. A reputation for wealth, ruthlessness and success is in fact an asset whereas in Canada lobbies operate more discreetly and soft- pedal their influence. 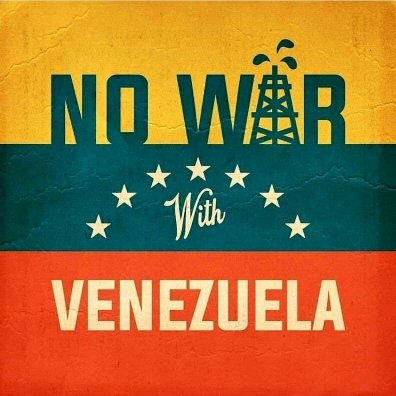 All in all, lobbying in each country is probably about equal in effectiveness. Elections afford each Lobby the greatest opportunity to exercise influence. Although most Jewish Americans have voted Democratic, and Canadian Jews Liberal, neither are formally aligned and votes can be swung if a party adopts what might appear to many Jews to be an anti-Israel approach. ED Noor: Although my first instinct upon reading the above is to roll my eyes and say “Duh!” I will sit on it and instead remind you, Dear Reader, that our dear friends have no allegiance to anything that does not serve their interest and even then, once it is devoured the husk is cast aside. Jimmy Carter, in making an exceptional effort to bring peace to the Middle East, angered Israel and its American Lobby. As a result, Carter lost almost half his Jewish vote between 1976 and 1980, a loss which contributed to his defeat in the 1980 election. Sydney Spivak, chairman of the Canadian Lobby’s 1998 policy conference, threatened a similar outcome when Joe Clark, then Secretary of State for External Affairs, criticized Israel’s suppression of Palestinian rights. A comparable Canadian case was that of Dr. Frank Epp, an outstanding scholar and President of Waterloo University. In 1979, Epp ran as a Liberal in what was considered the safe Liberal seat in Waterloo. However, his desire for a more balanced approach to the Israel-Palestine conflict was falsely depicted by the Lobby as “anti-Semitic” ~ a charge the Lobby frequently uses to discredit critics of Israeli government policies. In Epp’s case, the attack culminated in a full-page advertisement on election eve. In a constituency containing several thousand Jews, Epp was defeated by a mere 155 votes. In the Toronto riding of Saint-Paul’s, with about 20,000 Jewish voters, the 1979 election featured a Conservative promise to move the Canadian embassy from Tel Aviv to Jerusalem. The Conservative candidate, Ron Atkey, won. 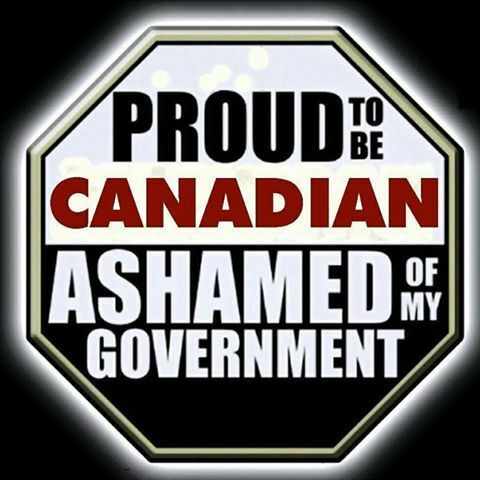 In the election the following year ~ after Prime Minister Clark had abandoned his promise to move the embassy ~ the seat swung back to John Roberts of the Liberals. In 1984 a Manitoba court ruled that unfair lobbying could have caused the defeat of Conservative candidate Luba Fedorkiw in Winnipeg North. Fedorkiw accused the Jewish advocacy group, B’nai Brith, of having defeated her by suggesting she was anti-Semitic and leveling the false charge of “Jew-baiting” against her. She was awarded $400,000 in damages. The Lobby concentrates on the ten constituencies where most of the Jewish and Arab/Muslim populations are located. Proportionally more Jews, however, go to the polls and are more likely to make a difference. It should also be noted that a substantial minority of the Arabs are Maronite Christians who are indifferent to the fate of the majority of Arabs. A trickle of Jews had begun to enter Canada early in the 18th century but was still insignificant in 1897 when the founding of the Zionist Movement augmented the political significance of the Jews in both Europe and North America. A few influential Jews made individual approaches to government leaders to gain permission for more Jews to enter Canada. 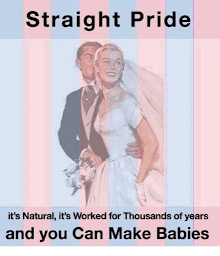 They achieved little success. This outrageously racist attitude appears to have been widely shared by the public as well as the prime minister. The Israel Lobby took formal shape in 1967 when the three major Canadian Jewish organizations, the Canadian Jewish Congress, the Canadian Zionist Organization and B’nai Brith, established the Canada- Israel Committee (CIC) to act on behalf of Israel. This is an umbrella organization with no individual members. It was intended to monopolize public statements on Canada-Israel matters but officials of B’nai Brith, notably Frank Dimant, frequently disregard this rule. CIC policy is determined by a 35-person council representing the founding organizations and several smaller bodies based in the large cities. It meets about once a year, its executive much more often. The CIC reported in 2000 that it had a seven-person office in Ottawa to deal with the federal government and another seven persons in Toronto to conduct media relations and research; one person was stationed in Montreal to handle regional lobbying; and a further two in Jerusalem. The CIC did not reveal its budget but it was estimated to be at least $11,000,000. The Lobby certainly commands far greater wealth than opposing entities, and far easier access through its extensive business connections to members of the cabinet and other senior decision-makers. Representatives of Arab/Muslim groups are rarely able to secure senior- level appointments in government while these are more attainable for the Lobby. Changes in Canada’s Middle East policy go to Cabinet, while other foreign policy changes do not necessarily need to meet this requirement, one that clearly favours the Lobby. The Lobby adopted a more effective if heavy-handed approach in 2002 when a group of exceptionally wealthy Canadian Jews reached the conclusion that the CIC was failing to give Israel adequate support. Led by Israel (Izzy) Asper, Gerald Schwartz, Heather Reisman, and Brent Belzberg, the group established the Canadian Council for Israel and Jewish Advocacy (CIJA). This council raises substantially greater funds than other Jewish lobby groups and employs professional lobbyists. Although professing to collaborate with the CIC, B’nai Brith and the Canadian Jewish Congress, the new body was not welcomed by them. One senior CIC official complained that the CIJA is “a group of self- appointed persons who have very little linkage with the Jewish (grass roots), and who have their own private agendas.” (11) When the councils differ over policy, it is the CIJA ~ the one with the “big bucks” ~ that generally prevails. In its first year, the CIJA sponsored several conferences and more than doubled the number of sponsored “study” visits to Israel. They included, among others, 23 federal politicians with spouses and seven university presidents. The CIJA claimed to have won the ear of those who make decisions, and thus gets credit for a sharp shift towards Israel in Canada’s international posture. He could have added that Jewish-Canadians have easier access to high places. The Lobby does not employ explicit threats but knows that MPs and others can count, and the fate of Frank Epp has intimidated many others. The Lobby also seeks to shape the future by extensive activity in the universities. Officials are placed in all the major institutions to foster Hillel clubs that promote communal sentiment among Jews and beyond by means of talks and debates. A separate body, ”StandWithUs”, provides students with financial assistance to gain training in how to fight what the Lobby considers “anti-Israel” actions. Its activity has contributed to serious strife and extensive publicity in two universities. In other universities, notably Toronto, McMaster, Ottawa, and Carleton, the Lobby has backed the administrations in their attempts to ban pro-Palestine activities such as the annual Israeli Apartheid Week. That is in line with an ordinary ambassadorial function. However, Baker went a step further and told Jewish Canadians how they should manage their affairs. For example, he urged the Canadian Jewish Congress (CJC) in public to pass a by-law that would make its relationship to Israel advocacy “professional, serious and practical” and, implicitly, less democratic. The overall success of the Lobby is best illustrated by Canada’s votes in the annual UN General Assembly’s assessment of the 60-year long Mid- East crisis. The Canadian delegates have often been embarrassed when the lights on the score panel reveal their country to be one of a minority of eight, along with Israel, the United States and its five Pacific satellites, voting against any resolutions deemed critical of Israel and its policies. Even Britain displays stronger criticism of Israel’s illegal occupation of Palestinian territories despite the fact that the U.K. generally tries to stay in line with American policy. Barton elaborated that Canada had voted not on the merits of the case but for political considerations determined in Ottawa. (18) Under Prime Minister Harper, Canada has further hardened its opposition to the majority of UN members’ criticism of Israel’s occupation of Palestine. Canada has also stood out in the two UN conferences on racism held in Durban. At the first, it denounced and then cast a solitary negative vote against the majority resolution in the Durban conference. At the second, its opposition was made even more emphatic by refusing to attend. Canada’s bias is further demonstrated by its solitary negative position in the Human Rights Council, and by refusing to accept the International Court of Justice’s ruling by a 14-1 vote that the wall being constructed by Israel, partly on Palestinian land, is illegal. The wall effectively cuts off one part of the West Bank from the other, dividing families, villages and farms. Earlier, Canada had been the first to suspend aid to Palestine after its democratic election resulted in victory for Hamas, the radical party most critical of Israel. Canada’s tilt towards Israel is also evident in conferences of La Francophonie where it has been the single participant to vote against a resolution favouring Palestine’s right to declare independence without waiting for negotiations with Israel. 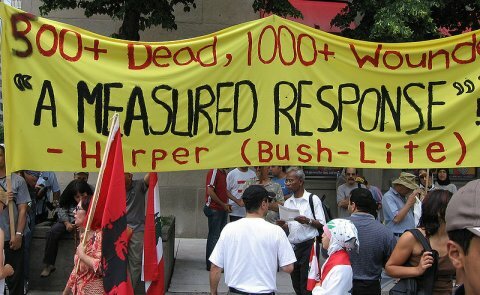 Canada was even slower than the US to recognize the right of the PLO to speak for the Palestinians. When it did, it did so with a minimum of cordiality. Canada continued to show marked favouritism towards Israel. The president of Israel, for example, was accorded the rare honour of an invitation to address a joint session of both Houses of Parliament, whereas it was only after a struggle that a PLO official was invited to speak to a Senate committee. Canada’s official rhetoric fails to recognize that the Palestinians and Jews are equal in humanity. Its formal statements of objectives in the Arab-Israel dispute regularly lead off with “the security, well-being and rights” of Israel, but not of the Arab countries. Israeli casualties are presented in more tragic terms than those of Arabs. Palestinian suicide bombings are characterized as cowardly and despicable while Israeli war crimes, such as the massacre of over one hundred Lebanese civilians in Qana in 1996 and the killing of many hundreds of civilians during Israel’s invasion of Gaza in 2008-2009, are passed over lightly or ignored. Prime Minister Harper and other ministers habitually refer to Israel as an “ally” which it is not formally, and which implies that another is an “enemy”. Arab-Muslim governments and the PLO do heed Canada’s UN voting pattern and official statements. Even before Canada recognized the PLO at the ambassadorial level, lesser officials had engaged in informal chats with PLO observers, helping them understand US statements and how best to respond to them. In the view of Palestinians, however, such behaviour did not excuse Canada’s habitual pro-Israel posture, as its then foreign minister, Peter Mackay, discovered during his first ministerial-level conversations in Palestine in 2007. Arab extremists, moreover, increased their threats against Canadian lives, and Canada was specifically cited as a prime target in Al-Qaeda communiqués. Although Canada has not suffered the loss of life to terrorism inflicted on the US, Britain and Spain, the RCMP have laid charges against four young Arab Canadians believed to have been plotting attacks on Canadian buildings. The clearest success of Canada’s Israel lobby was the cancellation in 1970 of Canada’s invitation to the UN to hold in Toronto a major conference on combating crime. All three levels of government had favoured the invitation until it was realized that, according to UN rules, the PLO would be entitled to attend as an observer. 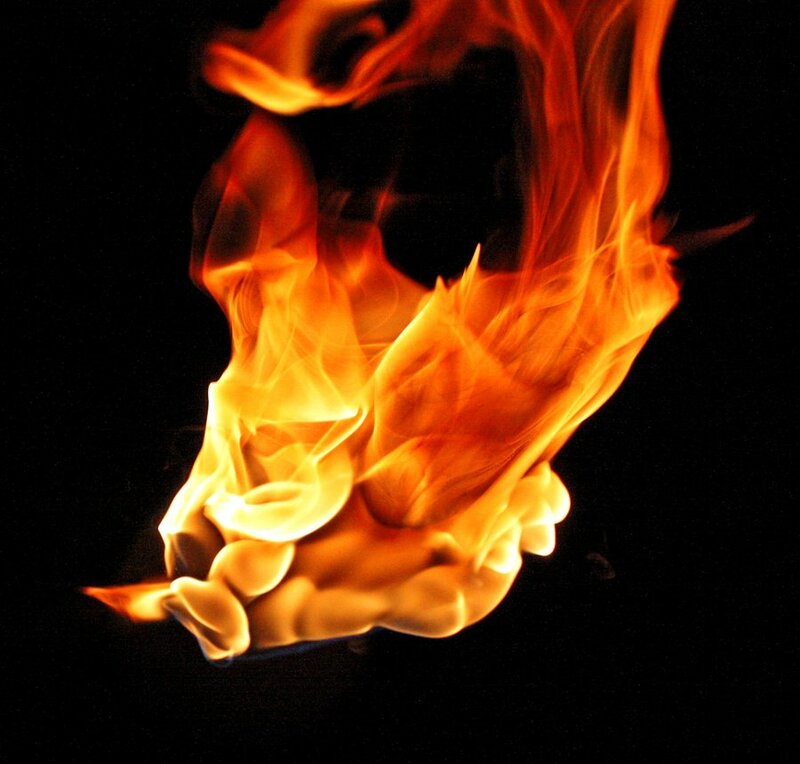 The Ontario and Toronto governments then reversed their acceptance and the issue became heated in Ottawa. Jewish-Canadians were not alone in thinking that it would be abhorrent to receive “terrorists” at a conference on the prevention of crime. Threats of violence against PLO observers, even one of assassination, were heard in Lobby circles and the police worried about the measures required to guarantee conference security. The Department of External Affairs (DEA) continued its battle in order to honour Canada’s commitment to the international community but lost. The conference was held in Geneva with little ado. At one stage the cabinet had decided to proceed with the conference but it then reversed its position. A similar reversal came under a Conservative government in 1988 when Joe Clark was Secretary of State for External Affairs. In an address to a Canada-Israel Committee banquet, Clark joined most other governments in condemning Israel’s breaches of international law in its suppression of the first Intifada in the West Bank and Gaza. Especially provocative was his complaint that Israel had manipulated food supplies to exert pressure, and his tribute to the peaceful disposition of the three Arab countries he had just visited. This was taken to imply that they were more interested in peace than Israel. The conference was outraged and responded with booing, a partial walkout and the singing of the Israeli national anthem. Loud applause greeted the suggestion from the chair that revenge would come at the next elections. Prime Minister Mulroney, who had not read the text in advance, hastened to inform Jewish leaders that Clark had spoken only for himself. Clark hurried to address a Jewish-Canadian audience to assure the “community” that Canadian policy had not changed and that Canada would “protect, defend, and endorse the State of Israel forever.” Such an extraordinary assurance, combined with a lack of progress towards a more even-handed treatment of the Palestinians, did little to appease the Lobby in its attitude towards the Department of External Affairs and its minister. 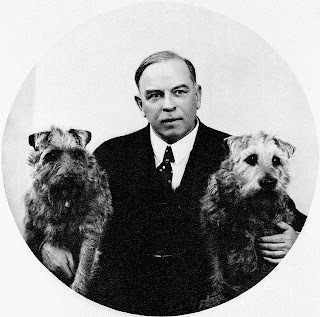 Even though the public response to Clark’s address was favourable, his successors were cautious when they recalled the anger that had swept through much of Canadian Jewry. Another revealing incident occurred in 1991 when Norman Spector was appointed Ambassador to Israel to replace Michael Bell, an experienced diplomat who had barely completed half his term. 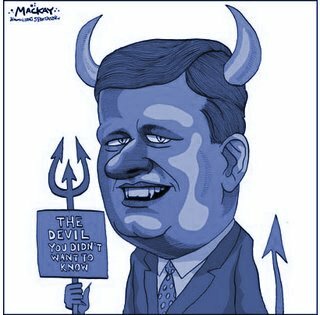 The reason for Spector’s posting, offered by both Prime Minister Mulroney and Spector, was that there had been a policy against posting Jews as ambassador to Israel. The appointment was said to be “affirmative action” to remedy this discrimination. In fact, there had never been any such policy (21) but the appointment certainly pleased the Lobby. In Tel Aviv, Spector explained to a delegation from the Canadian Jewish Congress that his function was to repair the damage created by his minister, Joe Clark, because of the latter’s criticism of Israel’s occupation of the West Bank and Gaza. Spector pushed through a free trade agreement with Israel that had been strongly opposed by DEA and the Department of Trade and Commerce. Since it was the only such agreement in the area at the time, and had only modest trade implications, it was regarded by Israel’s Arab neighbours as a strictly political measure and was resented by them. Back in Ottawa, Spector falsely accused his DEA colleagues of having lied in order to frustrate the negotiation of the agreement. Another trade issue had a different outcome. In 1978, Ontario had passed legislation to block the Arab-Muslim boycott of firms trading with Israel, and all three federal parties promised to introduce similar legislation. Trade and Commerce Minister Herb Gray was an enthusiastic supporter of the Lobby. However, he yielded to business pressure to ignore the demand for the anti-boycott legislation. Firms wanted to continue to trade not only with Israel but with all other countries in the region, even though some individual firms, both Jewish and non- Jewish, contribute substantially to the Lobby. Although it has no formal links with the Lobby, the Evangelical branch of the Christian church ~ about three million strong in Canada ~ lends great strength to the Lobby by its interpretation of the Bible. In its view the second coming of Christ will take place in a Jewish Palestine where, according to many Evangelicals, Jews must at that time control all of the “Holy Land.” As a result, Evangelicals tend to zealously support Israel and its occupation of the West Bank. They are exceptionally strong in Alberta, where they may have influenced Prime Minister Harper, who himself is an Evangelical. Several bodies oppose the Lobby. One of the most obvious is the National Council on Canada-Arab Relations (NCCAR) that speaks for most of the Arab-Canadian population. Although now approximately as strong numerically as the Jewish Canadian community, Arab/Muslim-Canadians are generally far less wealthy and much less cohesive. NCCAR maintains two representatives in Montreal and several volunteers in Ottawa. It works to promote Canada-Middle East relations, and lobbies for peace with justice in the region. Other significant groups are the Canadian Arab Federation (CAF, which represents over forty organizations), and the Canadian Islamic Congress (CIC). Both command articulate leadership and are gaining in influence as Arab/Muslim-Canadians advance in numbers, political sophistication and resolve. A newer group, Canadians for Justice and Peace in the Middle East (CJPME), comprises Canadians of all backgrounds. However, all these organizations remain far less influential than the Israel lobby. The most serious challenge to the Lobby comes from within the Jewish- Canadian community itself. A rapidly increasing number ~ perhaps one- third of the community ~ is now critical of Israel’s occupation of the Palestinian territories. For understandable reasons it is not easy for Jews to criticize Israel, which many see as their biblical home and their promised refuge. Survivors of the Holocaust cannot be expected to take communal bonds lightly. The charge “anti-Semite”, or “self-hating Jew”, is especially hard to face. The Jews who do speak out against Israel’s occupation include some of the most talented members of the Jewish community. 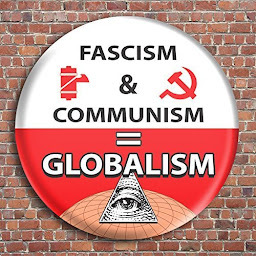 They are now led by an umbrella organization named Independent Jewish Voices, which is seen as a growing threat by the Lobby. Less influential but still significant are voluntary organizations in Ottawa, Toronto, Montreal and elsewhere that are dedicated to challenging Israel’s military occupation. One is the Ottawa-based Middle East Discussion Group (MEDG). Despite its disarming name, it was established thirty years ago by a group led by the Rt. Hon. Robert Stanfield, Professor John Sigler and others, with the purpose of correcting the pro-Israel bias in Canada’s Middle East policy. Its membership now includes several dozen of Canada’s most distinguished academics, journalists and a number of ex- Ambassadors who have served in the region or in the UN. The MEDG keeps abreast of events in the Middle East and has presented briefs to the government. A growing number of other groups are now voicing opposition to Canada’s policy and have considered sanctions against Israel. These include churches (notably United, Unitarian, Anglican and Roman Catholic) and unions of which the largest and most vocal is the Ontario branch of the Canadian Union of Public Employees (CUPE ). At least one authority contends that Canada lacks sufficient influence to render the ME peace process a significant element in its foreign policy (22). This overlooks the fact that Canada has substantial influence in Washington, and Washington is the one capital that could impose a Mid- East settlement. Acting alone Canada might well accomplish little, but in concert with like-minded nations such as the Scandinavians and American supporters of a just ME peace, it could make a difference. However, there is little evidence that Canada has tried to influence Israeli or American policy (23). Norway, with but a sixth of Canada’s population, initiated the negotiation of the Oslo Pact, the most serious attempt thus far to resolve the long-standing ME crisis. Canada’s influence was demonstrated at the very beginning of Israeli nationhood when Supreme Court Justice Ivan Rand dominated the UN commission that recommended the partition of Palestine, leading to the legal creation of Israel. Lester Pearson, then the most influential diplomat in the UN, was instrumental in steering the relevant UN resolution through the General Assembly without adequate provision for the displaced Palestinians. David Horowitz, the representative of the Jewish Agency in the UN negotiations, concurred that ”Canada more than any other country played a decisive part in all stages of the discussion of Palestine.” (25) Leading Canadian historians agreed, and prominent Zionists called Pearson the “Balfour of Canada.” Pearson attained even greater recognition in 1967 when he earned the Nobel Prize for initiating UNEF, the peacekeeping force that helped to end the Suez Crisis. Canada also led in establishing UNRWA, the relief and works agency that helps refugees in the Middle East, and subsequently took over the chair of the relevant multi-national working group. Canada’s extraordinarily strong support of Israel is partially explained by the editorial bias of its media, which face intense pressure to conform. Almost half of Canadian newspapers and the popular television network, Global, were owned by the Asper family. The late Israel (Izzy) Asper, billionaire founder of the CanWest media empire, was a prominent leader of the Lobby. Although not a practicing Jew, he travelled frequently to Israel, became a friend of its leaders and supported its policies. In 2004, the Reuters news agency complained that CanWest altered its reports on the Middle East, substituting the word “terrorist” for different words used by the wire service (29) to describe Arabs. There appears to have been no systematic survey of media coverage of the Middle East. The Jerusalem-based correspondents of the Globe and Mail and Toronto Star, as well as French-language Quebec newspapers generally offer a more balanced approach to Israel-Palestine issues. The CBC has usually been objective, much to the dismay of the Lobby. But under relentless pressure in recent years, CBC television has tended to steer clear of reporting that might offend the Lobby. In his brief tenure as prime minister, Joe Clark came to realize the political and legal impropriety of moving the embassy to Jerusalem. He abandoned the policy, adopting the views of Robert Stanfield, his predecessor as Tory leader whom he had appointed to study and report on Canada’s Middle East policy. However, no previous Canadian prime minister has matched the near total support for Israel offered by Stephen Harper who has adopted the “Israel-right-or-wrong” approach of the Israel Lobby and shown minimal concern for Palestinians. He described Israel’s 2006 invasion of Lebanon as ”measured” despite the fact that over a thousand civilians were killed by Israeli bombs and shell-fire. 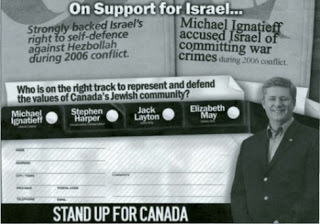 In his effort to win over Jewish voters, Harper approved the distribution of political pamphlets suggesting Liberals are anti-Semitic because of their lack of unconditional support for Israel. He has also moved aggressively to cut funding for aid and human rights organizations considered too sympathetic towards Palestinians. In Israel itself the strength of the Canadian Israel lobby is widely known and appreciated. Canadians are among the most popular foreigners in Israel. In part this is due to our pro-Israel votes and statements in international bodies. Yet it probably owes more to the fact that Canadians, per capita, have been the most generous towards Israel, notably in building legal university structures and subsidizing illegal settlement activities. ED Noor: If you have the time watch this rare Canadian documentary that never made it to the air (progamming changed at the last hour ~ I wonder who would be behind that!) and frequently disappears from the internet. It is an investigative report into Canada Park and its Palestinian origins. An amazing amount of coverups especially in Israel. “Canada Park” is the name of a prominent recreation area situated between Tel Aviv and Jerusalem. 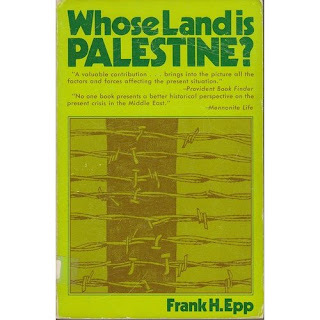 (Mention is seldom made of the three Palestinian villages ploughed under to make way for the park after the Six-Day War). Trade with Canada has been enhanced by our free trade agreement. Israelis with knowledge of the history of their country recall Canada’s role in its creation and also its lead in peacekeeping. Pressure from Canada for a just (and legal) peace settlement would probably be more acceptable than from almost any other country apart from the United States. 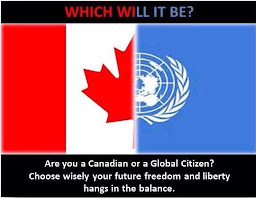 A Senate committee report issued on June 19, 2007, warned that Canada’s uncritical support for Israel in the United Nations Human Rights Council had led to the isolation of Canada. However, the obvious decline in our influence was regretted by many of the architects of Canada’s foreign policy who believe we should be pushing harder for Israel’s withdrawal from occupied Palestine in return for a binding guarantee of Israel’s security. Canada can hardly be said to lack influence or interest in the Middle East, but in what matters most to the Palestinians ~ their freedom and independence ~ we lag far behind every other western country. Our extremely pro-Israel posture may please the Lobby but it is contrary to Canada’s interests, those of the United States, those of the United Nations, those of Palestine, and those of Israel itself. Dr. Lyon is Professor Emeritus Political Science, Carleton University. He was a Rhodes Scholar, and obtained his D.Phil. from Oxford University. He served in the RCAF from 1940 to 1945. He held posts as Foreign Service Officer, Department of External Affairs in Ottawa, Canada and in Bonn, Germany. He is the author of five books on Canadian foreign policy, trade and defence. 1. It does not appear that any other leader, apart from Israel’s, described as “measured” Israel’s 2006 invasion of Lebanon in which over a thousand civilians were killed. 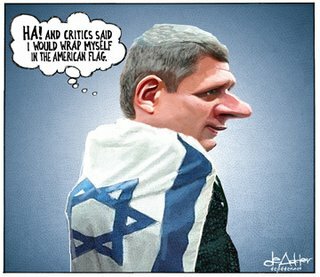 Harper’s branding of all criticism of Israel as “antiSemitic” appears to be unique. 2. 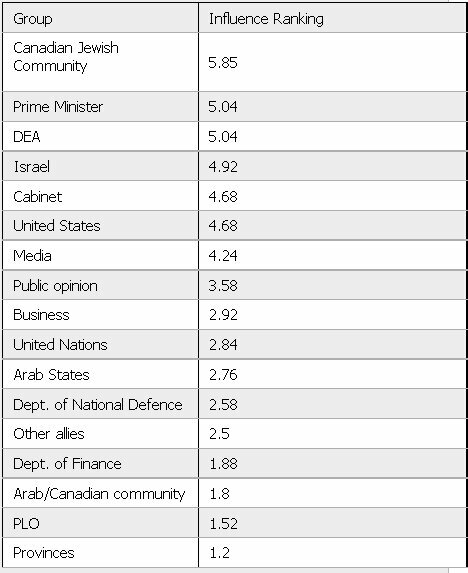 “Ranking of DEA Officials of Weight of Inputs (influence) in the Making of Canadian Foreign Policy” (scale of 1 to 7) from a study by John Kirton and Peyton Lyon in the Journal of Canadian Studies, winter, 1992-3. 3. Other ethnic groups that lobby include Haitian, Sikh, Armenian, Cambodian, Tamil and Lebanese. 4. The latest census shows a drop in the number of Canadians claiming to be Jewish from 348,605 in 2001 to 315,120 in 2007. No explanation was offered for this 10% drop. During this time, the size of the Jewish community dropped to 25th among ethnic communities in terms of numbers, down from 17 in 2001. 7. “Mindless Cheerleaders for Israel?”, Toronto Star, May 13, 1960. 8. In a talk to a meeting in Toronto of the Canadian Professors for Peace in the Middle East. 11. Cited by Professor David Noble in “The New Israel Lobby in Action,” The Dimension, Nov.1, 2005. 12. Letter from Dr. Gordon Smith, University of Victoria, former deputy minister of foreign affairs, 1994 -1997. Letter dated Aug. 4, 2008. 14. Daniel Freeman-Moloy, a Jewish-Canadian York student, was suspended for 3 years by the university’s president, Lorna Marsden, for having organized a peaceful pro-Palestinian demonstration. The suspension was soon lifted and a court awarded Freeman-Moloy damages. 15. The author was expelled for having questioned the propriety of money being spent from the national treasury for an organization dedicated to a foreign entity. 17. William Barton in testimony to the Senate Foreign Affairs Committee. 19. In conversation with Geoffrey Pearson. 20. The CBC received 604 calls in the first hour of the announcement, almost all of which were in support of Hughes and were angry in tone. 21. Spector and Prime Minister Mulroney each claimed that it had been customary to post as ambassador individuals of the ethnic origin of the country to which they were posted and, since there had never been a Jewish-Canadian ambassador in Israel, Spector’s posting was presented as an act of fairness. But they were wrong. Apart from a French-Canadian in Paris, ambassadors are almost never posted to a country of their ethnic origin. 22. Denis Stairs, Professor Emeritus, Political Science, Dalhousie. 23. Allan Gotlieb’s 656 page memoir of his six years as Ambassador in Washington contains scarcely a mention of the Middle East. Washington Diaries 1986-1989. A member of his staff reported on American policy but did not, it appears, attempt to influence it. 24. 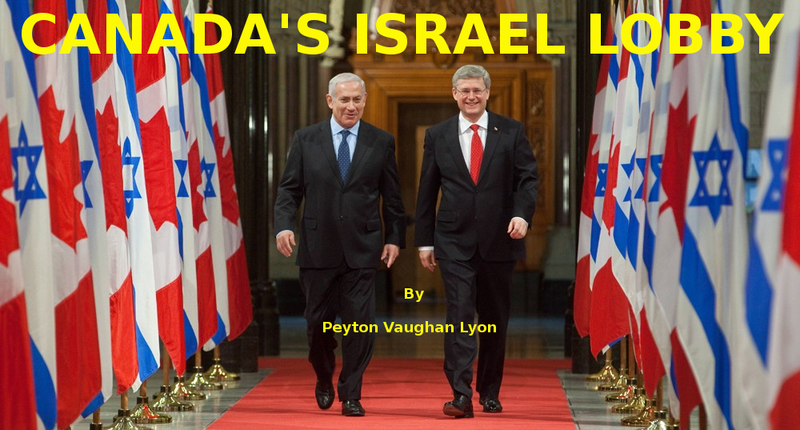 See Peyton Lyon, “Canada’s Responsibility for Palestine”, in Behind the Headlines, autumn, 1998, pp 4-9. 26. For an indication how the Aspers treat independent minded editors see Marc Edge, “Asper Nation: Canada’s most dangerous media company.” New Star Books. Vancouver, 152-169. 30. Annual Report, 2006. The Near East Cultural and Educational Foundation of Canada. 33. Pearson in his seminar in the School of International Affairs, Carleton University. IS CANADA’S PRIME MINISTER STEPHEN HARPER A JEW? OH! CANADA! 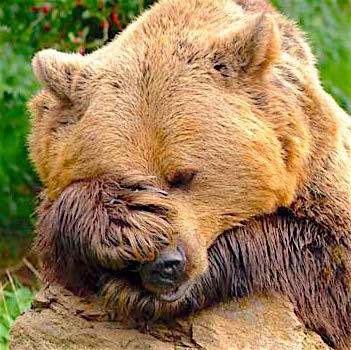 CHRISTIAN CHURCHES ARE ANTI SEMITIC ORGANIZATIONS? We have to get money out of politics. As much as I abhor the idea, we have to force Israel's representatives in Ottawa and DC to go to federal funding for all elections. I don't even know if it is possible, but we have to try to put an end to this idea that $$$ = Speech. After all, the chosens have literally billions of dollars with which to buy these turncoats we pay to represent our interests. Of course we (I don't know if Canada has the same problem or not, but the US certainly does) also need to end the idea that dual citizens have any place in government - as elected or unelected officials. You want to be a dual citizen, you aren't allowed any position whatsoever in government. I really hope others are awakening to the jewish menace because in all honesty, it all seems incredibly daunting and unlikely.